Soybean is not only an important oil crop, but also an important source of vegetable protein. Soybean oil is usually extracted by solvent extraction in soybean oil mill plants. The wet soya meal after extraction usually contains 55-70% dry material, 25-35% residual solvent, 5-10% water and less than 1% residual oil, and its temperature is usually 55~60℃ (130-140℉). In most cases, defatted white oil cakes contain anti nutritional factors that may inhibit digestion. 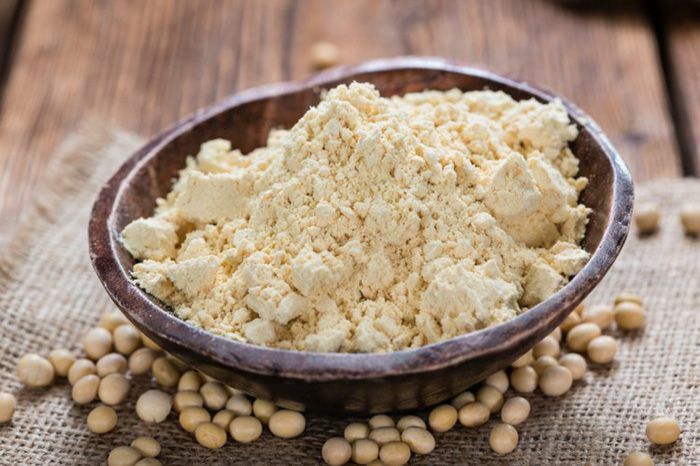 Therefore white soybean oil cakes cannot be used directly for commercial purposes, and the transportation is also not safe, so it needs further processing. 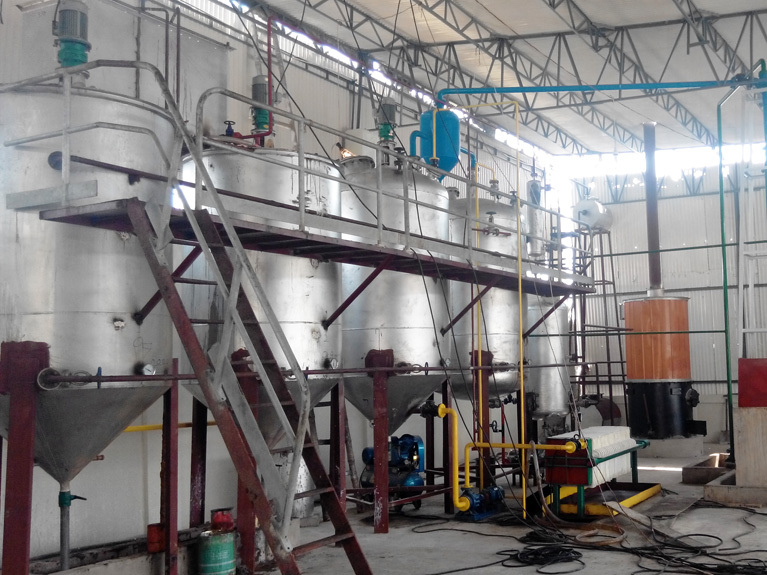 There are two possible ways to deal with wet soya meal after solvent extraction. 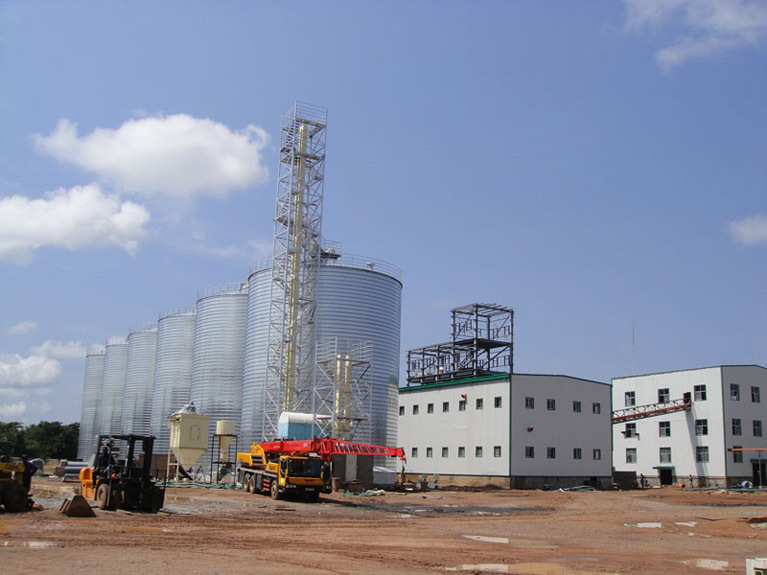 More than 95% of wet soya meal is produced by desolvation, torrifying, drying and cooling (abbreviated to DTDC) process to produce protein-rich soybean meal as animal feed ingredients (see feed processing machinery>). 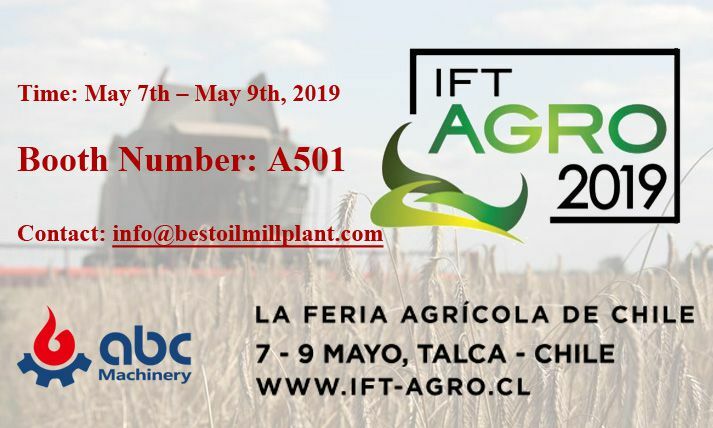 Less than 5% of wet soya meal is produced by flash desolvation and cooling process for the production of edible soybean meal, protein concentrate, protein isolate and other applications for human and animal special feeds. Flash Desolventizing refers to the instantaneous desolventing of wet soy meal at high temperature, removing most of the solvents, and then directly stripping the white oil cake in vacuum. After desolventing, the material is cooled and discharged to a lower temperature region, so that the denaturation of protein occurs the lowest. The wet soybean meal is fed into a high flow rate superheated solvent vapor circulating pipe through a conveyor. The temperature of the superheated solvent vapor is about 150℃. Solvent vapor delivers wet soy meal at an annular speed of about 20m/s in the annular pipe. In the superheated solvent vapor flow, the solvent vapor fully contacts with the wet soy meal and exchanges heat rapidly. The heat of the superheated vapor is released, which provides latent heat for the liquid solvent and water evaporation in the wet soy meal. 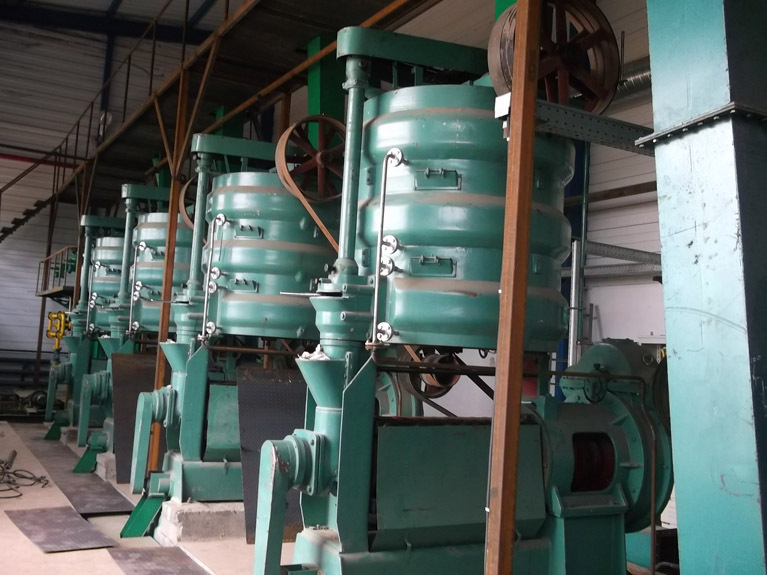 When the wet soy meal enters the annular pipe for 2 seconds, the outlet temperature reaches about 100-105℃, containing 1-2% liquid solvent and 6-8% water. After white soybean oil cake is discharged from the annular pipe, the superheated solvent flow temperature drops to about 110℃, and then recovers speed through a blower, heated to 150℃ by a solvent heater, and finally the superheated solvent vapor reaches the wet meal inlet of the annular pipe. The excess solvent and water vapor produced at the exit of the annular pipe are sent to the condenser by the automatic pressure control valve, and the solvent gas enters the condensation system for condensation and recycling. After steam evaporation, there is still 1 to 2% solvent concentration in the white soybean oil cake, which cannot be safely treated. Therefore, it is further transported to a vacuum desolventer and contacted with superheated steam to remove the remaining solvent until less than 2000 ppm. In modern processing equipment, stripping equipment is kept in a vacuum of about 0.5Pa to help reduce residual solvents to 500ppm. Stripping equipment can be vertical cascade type, horizontal conveyor type, or horizontal blade mixing type. 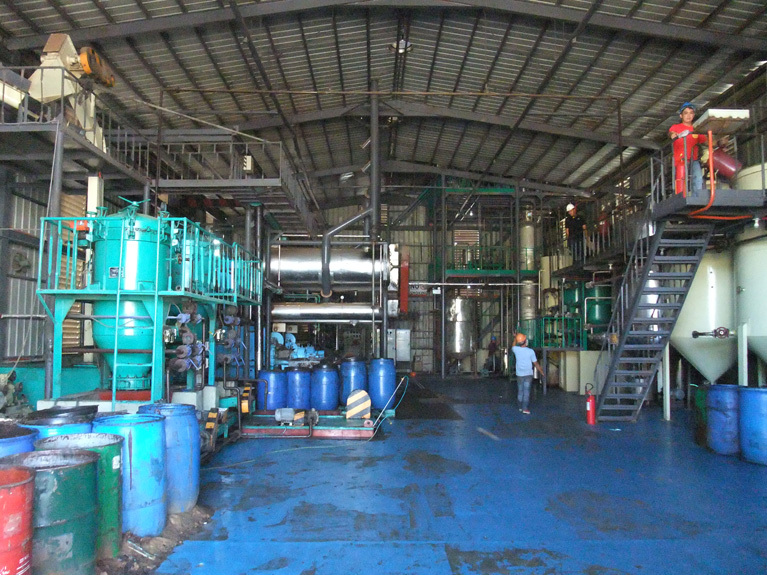 In order to maintain the PDI of the soya meal as much as possible, no superheated steam can be condensed. Therefore, the key is that these devices are used for hot water heating to achieve very good insulation. For the production of protein isolate and special powder, the ideal PDI is as high as possible (PDI85 to 90). In these cases, the heating surface of the stripper is maintained at 90~100℃. For the production of protein concentrate, the ideal PDI is usually around 70. In this case, steam is fed into the stacked stripper and indirectly heated to maintain a higher operating temperature. The discharging temperature of the stacked stripper is usually 90~100℃. By air convection cooling, the temperature is reduced to 10~20℃ at ambient temperature. In small-scale soy protein isolate processing plants, this cooling is done in a dilute-phase pneumatic conveying system, and in large-scale soy protein isolate processing plants, this cooling is done in DC (like a hot-meal drying cooler). This cool product is often referred to as white flakes. In a special soy flour product, a biofilter should be used to remove all bacteria. This is not important for white flakes that enter the protein concentrate or isolate process because any bacteria are eliminated in the subsequent process. For the application of concentrated soy protein, the integrity of white flake shape is important, and the powder needs to be screened out. While for special soybean flour and protein isolate products, it is not important to keep the shape of the flash meal, because reducing the size is a normal step in the follow-up process. Low loss of active protein and low power consumption. The only disadvantage of flash desolvetiizing process is that the powder content of soya meal is high.